Matte 10mm black agate with peeks of white banding. Gunmetal sparkle bead and silver accents. 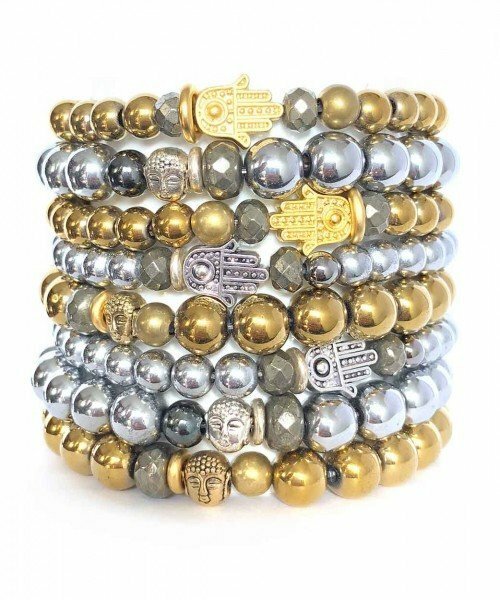 The Bandit is an arm party must to beef up your stack or wear solo as a statement bracelet.